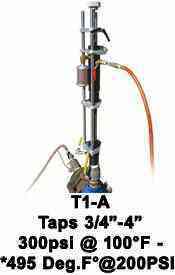 Taps 3/4”-2” with 11” Travel 300PSI @ 100°F Retains Coupon with a Weight of 14lbs. 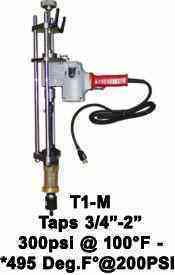 Taps 3/4”-2” 300PSI @ 100°F -*495°F @ 200PSI Retains Coupon with a Weight of 28lbs. 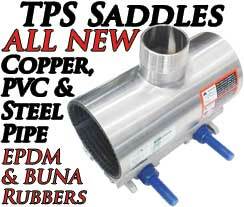 Taps 3/4”-4” 300PSI @ 100°F - *495°F @ 200PSI Retains Coupon with a Weight of 28lbs. 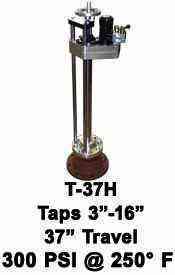 Taps 3/4”-2” 300PSI @ 250°F Retains Coupon and Weighs 28lbs. 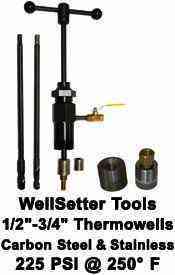 Taps 3/4”-4” 300PSI @ 100°F - *495°F @ 200PSI Retains Coupon. 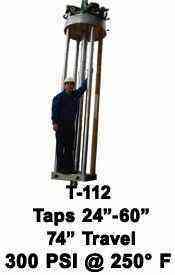 Taps 4”-8” 300PSI @ 100°F Retains Coupon with a Weight of 55lbs. 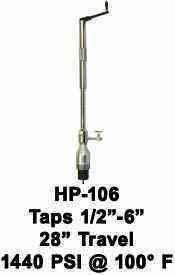 High PressureTaps 1/2”-4” 1440PSI @ 100°F with 18” Travel and Retains Coupon. 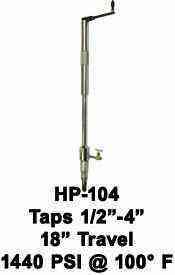 High Pressure Taps 1/2”-6” 1440PSI @ 100°F with 28” Travel and Retains Coupon. 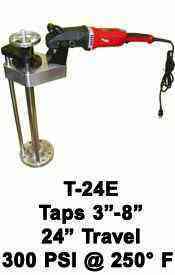 Taps 3”-8” 24” Travel 300PSI@250°F Retains Coupon & Weighs 110lbs. 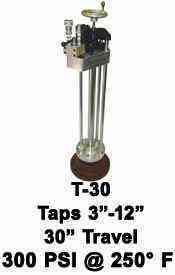 Taps 3”-12” 30” Travel 300PSI @ 250°F Retain Coupon with a Weight of 125lbs. 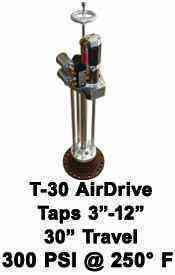 Taps 3”-12” 30” Travel 300PSI @ 250°F Retain Coupon with a Weight of 125lbs. 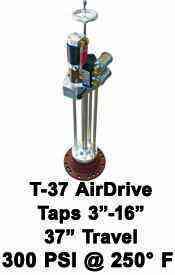 Taps 3”-16” 37” Travel 300PSI @ 250°F Retain Coupon with a Weight of 185lbs. 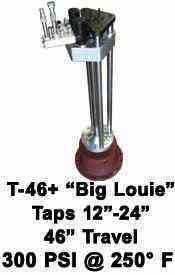 Taps 12”-24” with 46” Travel 300PSI @ 250°F Retain Coupon with a Weight of 495lbs. 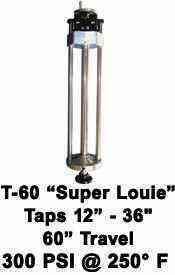 Taps 24”-60” 74” Travel 300 PSI @ 250°F Retain Coupon with a Weight of 5000lbs. 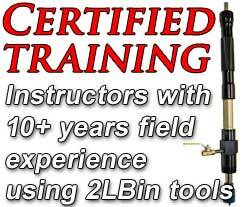 After 37+ years in the hot tapping, line stopping, pipe freezing, valve inserting business and we are proud to introduce the 2LBin (pronounced tool-bin) line of machines, equipment and pipeline tools! 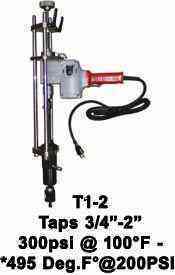 2LBin offers machines and accessories that have been used and approved by our working field technicians and engineers over many years of continuous use. The pipeline service is a tough, active, and intense industry that is unforgiving of mistakes and malfunctions, so you must choose your tools wisely. This is why we started developing simple, dependable machinery for critical projects and pushing beyond what is expected. This is what our company was founded on. 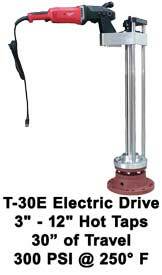 Our equipment and products have performed in unpredictable situations, showing us what works best in the field. 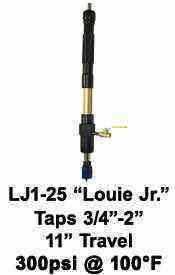 This is why we manufacture quality hot tap machines and other pipeline tools that our technicians have used, trusted and are also backed by a limited warranty. 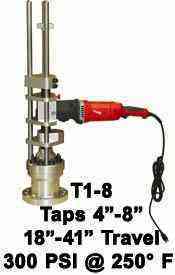 Since the start of International Flow Technologies (IFT) back on July 22, 1986 the demand for pipeline modifications without system shut downs has steadily increased due to population growth, environmental concerns, and other factors. 2LBin was established to give pipeline contractors, water districts, plumbers, new mechanical companies and anyone in the pipeline industry the opportunity to save time and money by offering machines they can trust along with free phone customer support. 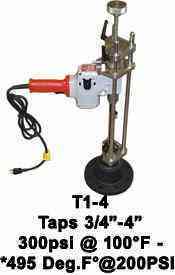 2LBin offers American designed and built hot tap and pipe line stop machines as well as other supplies for pipeline repair and maintenance. 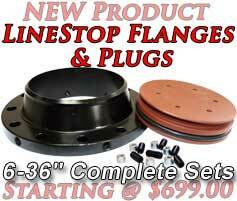 Our hot tapping and line stop equipment was developed over many years to simplify the tapping and linestop industry. 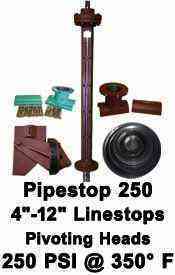 This equipment is designed and approved by Linestop.com field technicians and engineers to reliably perform “live” connections for pipeline alterations, including valve installations, without the need to shut down a pipeline system. 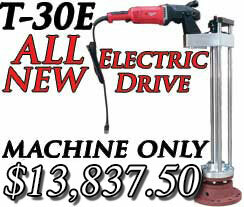 2LBin machines are built in America and are made to last for many years of continuous use. 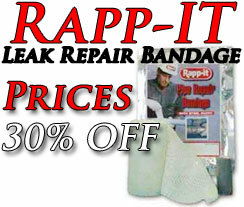 Call us today regarding any questions or concerns you may have.